Can I Convert My Flat Roof to a Pitched Roof? For all their aesthetic benefits, flat roofs can come with some serious downsides, too. Flat roof surfaces are more prone to leaks, water damage, and problems with mold. Not to mention, you’ll need to replace your flat roof more frequently and maintain it with waterproof coatings and seals. All that moisture exposure tends to wear down roofing materials, meaning a new roof—and a $5,000 or more price tag. These are just some of the reasons that homeowners start longing for a pitched roof—and wondering if they’re stuck with their flat roofs forever. Luckily, nothing is written in stone in construction. Homeowners who want to convert to angled roofs have plenty of options. 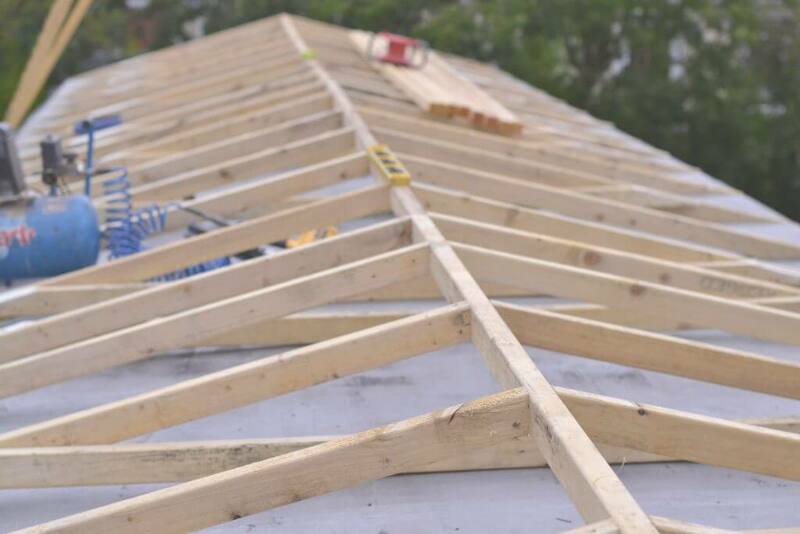 The price and scope of the project depends both on how complicated you want your new roof to be, as well as the construction of your existing roof and ceiling joists. If you’re thinking about converting to a pitched roof, here’s what you’ll need to know before you begin. Converting a roof is a pretty big project that will potentially affect the architecture and stability of your home’s existing structure. It could even cost up to $30,000 if you go for a particularly complex replacement. Therefore, it’s a good idea to closely examine the issues you’re dealing with and determine whether or not a new roofing system is really the best option before you begin a massive construction project. For instance, if your main concern with your roof is moisture exposure or frequent maintenance, installing a newer, higher quality roofing membrane may be a simpler and more affordable choice. Look for a roofing contractor who has experience working with flat roofs and who knows how to add waterproof coatings and other surface treatments properly to prevent water exposure. However, if you prefer the appearance of a pitched roof, are concerned about your existing roof’s structural stability, or need roof repair to correct leaks, cracks, or other issues, your best bet may be converting to a pitched roof. 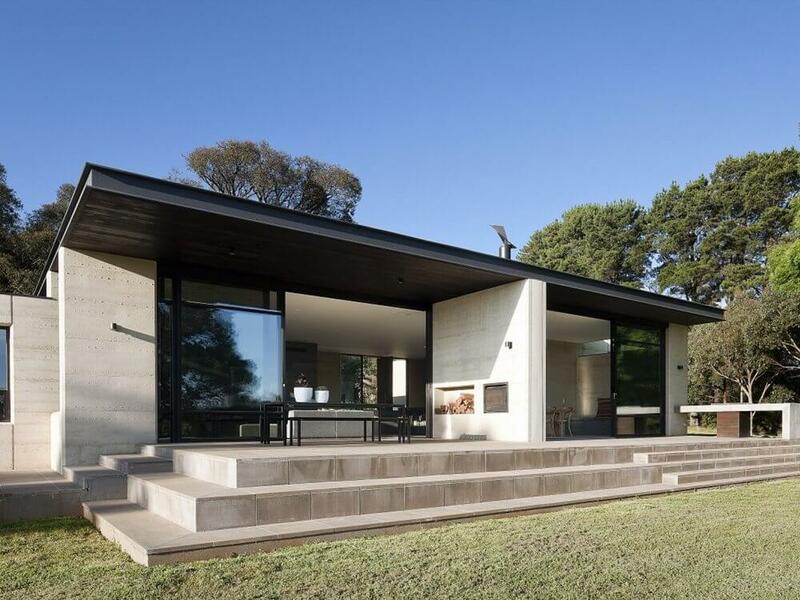 If you’ve looked at all the alternatives and determine that a roofing conversion is really the best option for your home, it’s time to start planning your home’s new architectural design. There are a couple of different ways to go about a conversion. You can install a shallow pitched roof over your existing flat roof, add a trussed ranch-style roof to convert to cathedral walls, or even build a new floor and install the pitched roof above that. Either way, your home’s existing design may interfere or affect the changes you can make. For instance, if you’re not building a new floor into your home, your design may be limited if the existing ceiling joists aren’t arranged correctly. That means you may have to tear out the ceilings below the roof as well. An architect or structural engineer should be able to provide advice on what’s possible in your home—and what additional changes you’ll need to make before you can get your dream roof. Most homeowners choose to convert a flat roof to a pitched one using a simple trussed roof with two angled planes. While that’s the easiest route, it’s certainly not your only option. Additional valleys, angles, and gables can be built into converted roofs as well—but adding these elements may affect your project. For instance, it may be difficult to build a large gable into a low-pitched roof that you install above the flat roof surface. Always make sure your design gets an okay from an engineer or architect—someone who can sign off on the structural integrity—before making changes. When you make a massive adjustment to your roof, it’s not just the surface that’s affected. If you’re raising the height of the roof significantly, you’ll also need to have the chimney—if there is one—and heating system vents and pipes extended as well. And you’ll have to purchase new siding that will blend in with your home’s existing cladding, which can be difficult, especially if it’s been awhile since you purchased new siding. Therefore, you may potentially want to think about new home siding as well. All of these items add to the final total of your project and should be factored in when you’re budgeting. Your contractor should be able to offer you more specific details on these costs. All in all, a flat roof replacement is a serious project that should be well thought out. With a little planning and some professional help, your ideal roof will be well within your grasp.